There is nothing fancy about this bare bones spot in Bayview, but you’re not going for the décor—you’re going for San Francisco native Auntie April’s authentic and affordable soul food. April Spears learned how to cook soul food in her grandparents’ kitchen before cooking at a Bayview restaurant owned by her godparents just down the street. 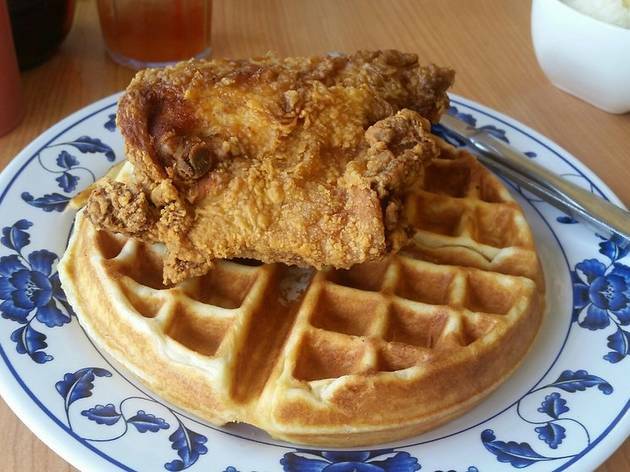 So when it came to opening up her own place, it only made sense to do so in a familiar neighborhood, one where she serves up some of SF’s best chicken and waffles. 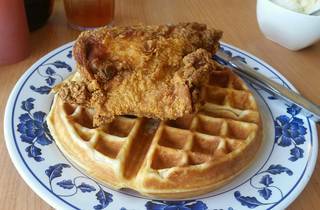 The price point is fantastic: a couple pieces of crunchy fried chicken on top of buttery waffles (choose from original, cinnamon or buckwheat) will only cost you $9. Add a sweet tea to wash it down and then order a piece of pecan pie to go—you’ll be too full to enjoy it there, but will regret it for days if you go without.